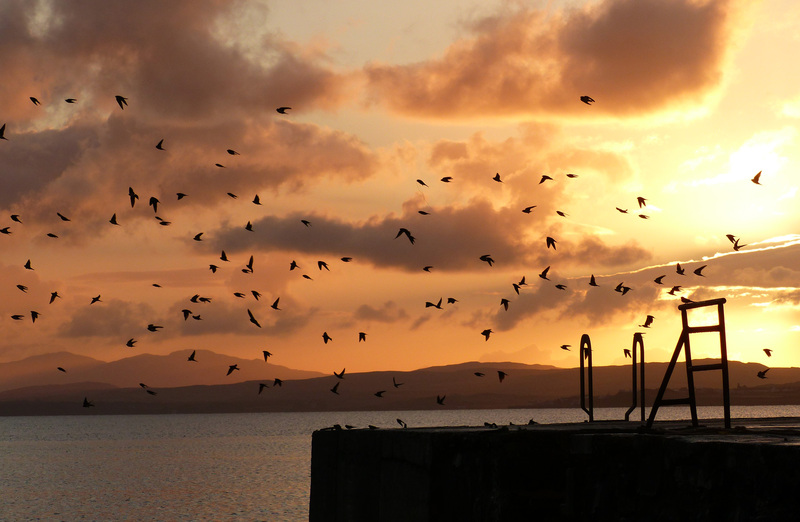 ISLAY: Autumn in full swing early this morning at Port Charlotte – lovely photo from Mike Peacock. MID-ARGYLL: At the Add Estuary this evening – 26 Black-tailed Godwit, 2 Greenshank, 3 Red Knot and a 1CY Kittiwake in with the other gulls. Also a male Hen Harrier over the Moine Mhor (Jim Dickson). 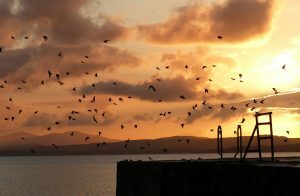 SWALLOWS dawn gathering – Port Charlotte, Islay 25th Aug (Mike Peacock).